Now on its second generation, the Jaguar XF continues to maintain its striking good looks and powerful performance, whilst bringing some new needed adjustments in the space and practicality front. The car's smooth and powerful performance is assured by its good suspension, fast steering, good amount of grip especially in the 4x4 version and good line-up of diesel and petrol engines. The interior of the XF is as stylish as the exterior but the materials used, while not bad per say, are not of the high-quality usual in Jaguar's extensive range. As for the tech equipment available, the Jaguar features an 8.0-inch touchscreen that manages all infotainment options, blue dashboard nightlights, Bluetooth, navigation system, DAB radio, cruise control, dual climate control and electric leather seats. In the practicality and space front, in this second generation, Jaguar worked hard to provide better and easier rear access as well as more legroom in the back seats. The results are easily noticeable as all occupants now have more than enough leg and headroom available, enabling them to better enjoy the comfortable seats even during longer journeys. The boot can take up to 540 litres of luggage outperforming direct rivals like the BMW 5 series or even the Audi A6. If you decide to fold the rear seats, the space available can be extended to 963 litres. For all its qualities, the Jaguar brand is not known for its affordability so if you're looking to acquire the XF for a lower price you can take a look at the deals we have available for used Jaguar XF on finance starting from 50 per month. Finished in GREY, this second-hand XF has Automatic transmission, a 2179CC Diesel motor and 74000 miles clocked-up on the dash. This could be a great option for you if you're after a used model of this vehicle at a low price. Available to view at our dealership in the London area is this Jaguar containing a 2993CC Diesel engine with Automatic transmission. On the market in a GREEN finish with 125000 miles on the clock. If you'd prefer to spread the cost of buying this second hand vehicle, ask SM Car Sales Clapton Common London in London about buying this XF V6 LUXURY FSH INC on credit. Your instalments may start at £131.39 per month. Cargiant in London is advertising a remarkable price on this low mileage Jaguar XF. Making contact with a member of the knowledgeable staff could be all you need to do to ensure that you grab this marvellous offer. 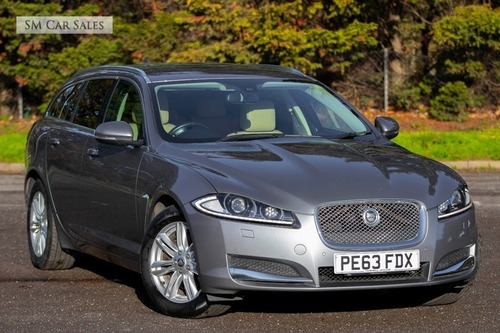 This XF 2.0 D 163 R-Sport has low mileage and it's been used for less than a full year. This dealership is in London. Call to book a test drive ASAP.. This like new, near mint Saloon features Manual transmission and a 2000 CC Diesel motor. On offer in a tone of White with only few miles on the dash. To have a chat about this XF, just pay a visit to this vendor or call to speak to the sales dept at Cargiant at your convenience. At our dealership, for the fantastic price of £14,499 is this low mileage XF 2.2 D Luxury. This second hand Jaguar with a mere 39513 mi on the dash is available at £14,499 or from £334.50 per calendar month. Have a chat with at Cargiant in London to find out more about this vehicle and to book a viewing. For the total price of only £13,999 is this XF with a 3000 CC Diesel motor and Auto transmission. This second-hand model has a Grey finish and has 91018 miles clocked-up on the dash. If you want to get more information about this Jaguar, just visit or call one of this dealership's helpful advisers. With a 2200CC Diesel engine, a Automatic gearbox, 66998 miles clocked up on the dash and available in Silver. This used Jaguar XF might just be the right model for you. This Jaguar XF is available from Cargiant with the option to buy using an instalment plan commencing from only £346.03 a month. This vehicle is being advertised by this dealership at an outstanding price. With financial options available to suit all budgets, you could be the new owner of this vehicle in no time. Get on over to our dealership in London or call us to speak to a member of our knowledgeable team and test drive this Jaguar XF 2.2 D 200 Premium. With a second hand car like this on sale at the outstanding price of £18,499 and helpful finance options on offer to suit your wallet - purchasing this motor could be a test drive away. Learn more about what finance options are at hand; get in touch with Cargiant in the London area today. Own this Saloon for just £17,499. It contains a 2.2 L Diesel engine with Auto transmission and it has done 15626 miles. Advertised at the fantastic price of only £17,499, this low mileage Jaguar XF is expected to sell very fast, so make sure you don't miss our incredible offer. Call, email or head over to Cargiant located in London to talk to our knowledgeable team to get more information. 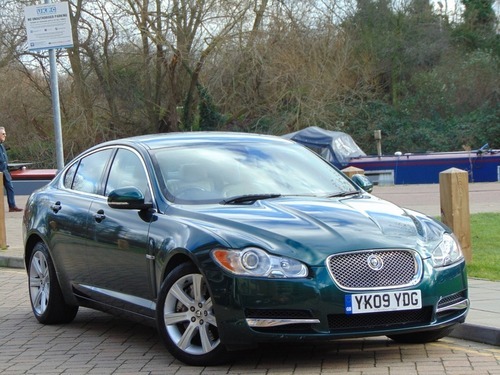 Travel in luxury and style in this Green XF that comprises of a 2200 CC Diesel motor with a Auto gearbox and just 60403 miles on the clock. A car at such an awesome price is not to be ignored. Take the first step in being the owner of this car by contacting the friendly finance team. Pay the whole amount of only £13,999 upfront or buy with a monthly repayment plan that suits your wallet. Available on the market is this Grey 4 door Saloon. This particular car has 48028 miles on the clock and incorporates a 2200CC Diesel motor and Auto transmission. Have a chat with the helpful sales team at Cargiant to find out what else this motor has to offer. Currently available for sale is this second hand car priced at only £16,799. Cargiant also gives its customers the possibility to pay with manageable monthly repayments with instalment packages commencing from only £387.56per calendar month. Get this used car. It's currently available for sale located in the London area. Acquire it on finance. This Red motor supplies you with a Diesel, 2200 cc engine and Automatic gearbox. You could drive away this Saloon second hand car starting off from around £334.50 per calendar month on finance or by making a one time payment of only £14,499. Either way it's a bargain for a Jaguar XF. Priced at only £13,999 is this Jaguar which has got Auto transmission and a 2200 cc Diesel motor. This second hand one has a Black finish and has clocked up 28866 miles. If you should be searching for a finance deal, look no longer. Our dealership has many finance plans to choose from. Visit us! This second hand car has got Auto transmission, a 2000 cc Diesel motor and clocked up few miles. Call or email this dealership in London and arrange an appointment for a test drive in this near mint XF 2.0 D 180 Portfolio. Finished in Blue, this XF 2.0 TD R-SPORT (S/S) has Automatic transmission, a 2.0 Ltr Diesel engine and clocked up 76558 miles. Call or email the knowledgeable customer care team at Quality Part X - Wembly to find out what else this car has to offer. Showing 1-18 of 1,901 items.